On Sunday 7 June i visited my grandmother’s village of Polis Chrysochous. It was a lovely day spent with many family members. 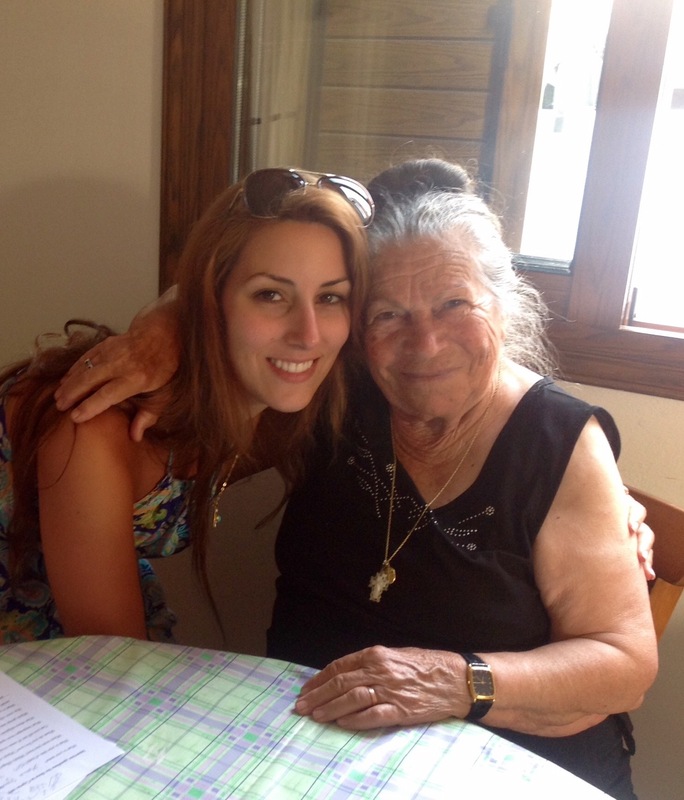 I interviewed one of them, my great-aunt Maria. 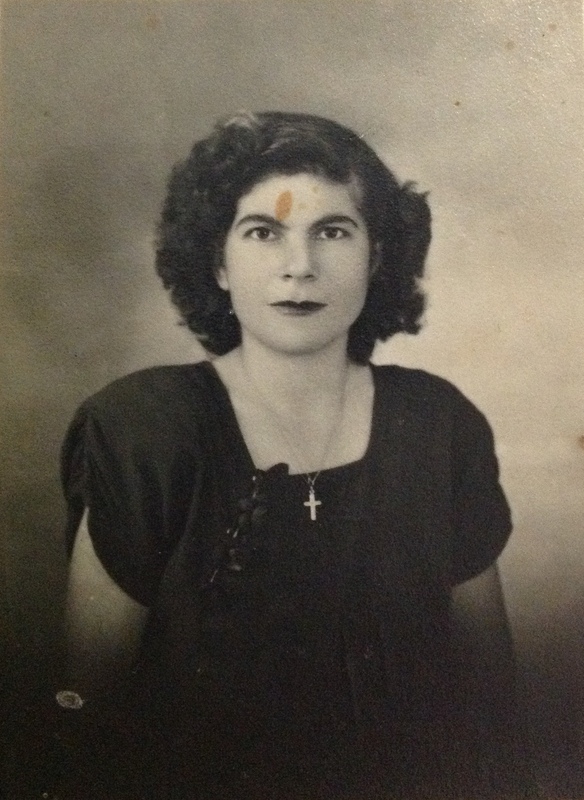 Maria was born in Agia Irini and moved to Polis Chrysochous when she married my great-uncle Chrysanthos in 1949. Maria is still very sharp and remember fine details of her childhood and early adulthood spent in Agia Irini. Maria remembers that the whole village, Greek and Turkish Cypriots, would get dressed up to celebrate the name day of Agia Irini (Saint Irini), and that many members of both groups would make the trip to Morphou, the largest nearby town, to attend the three day celebration of the name day of Agios Mamas (Saint Mamas). Although Maria attended the Greek school in the village, she would often sit outside the Turkish school to listen to the Turkish classes. She remembers eating and working with the Turkish Cypriots in the village, as their lives were utterly intertwined. Maria’s sister, Panayiotta was even breast fed by a Turkish Cypriot milk mother, Emine! There was one well which all the village shared, and they followed a “water roster”, with some families collecting water on one day and some on the next. 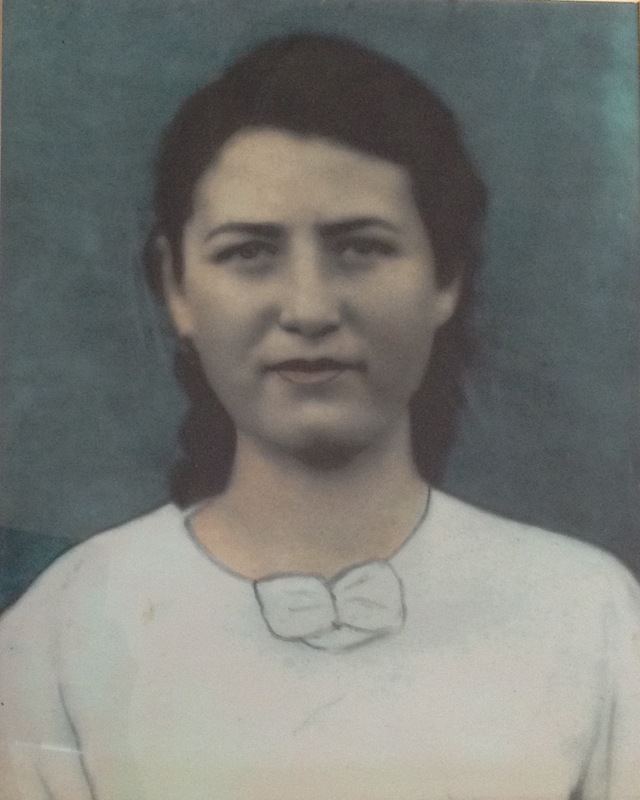 Maria had many Turkish Cypriot friends, many of whom she worked with during the school holidays; she and her friends would work as fruit pickers for a man in Morphou. There was a problem, however: Maria was the only Greek Cypriot amongst the girls and the Turkish Cypriot boss paid her half the wage of the other girls. Her Turkish Cypriot friends protested and threatened to quit unless he paid Maria the same wage as he paid them. He bowed to the demands of these feisty school girls and Maria’s wage was doubled. “I cried and cried when my Turkish Cypriot friends were forced to leave Polis”. Although Maria has not crossed the border since it opened in 2003, some of her Turkish Cypriot friends who left Polis as refugees in 1974 have visited her since then. A couple even visited her just a few weeks ago (23 May); they all had lunch together! On Tuesday 9 June, while eating breakfast at the hotel ‘Odysseas and Eleni’, we chatted to the owners, the sons of Odysseas and Eleni. We asked if they knew any old Greek Cypriots who still live in Polis Chrysochous who I could interview, and then out from the kitchen came their mother Eleni! I interviewed her there and then. She was a warm and very intelligent woman. Maria with her Turkish Cypriot friend Salih, reuniting after 40 years. 23 May 2015. Eleni was born in Nea Chorios, Polis Chrysochous, and remembers growing up with many Turkish Cypriot friends. Her family were very poor and she didn’t go to school; she went to work in the fields. 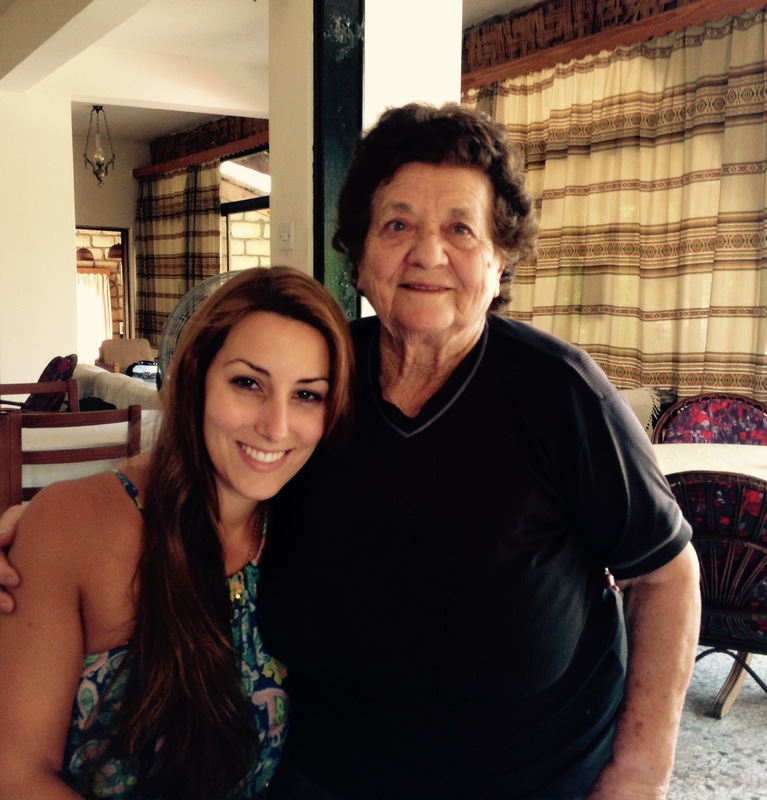 She remembers working and cooking with Turkish Cypriots. She recalled instances when the men were Koumbaroi (best men) for each other. I’ve heard this over and over in my interviews. Eleni said that there were many milk mothers who fed the children of the other group. “The Turkish Cypriots would see relationships not just through blood but milk also; that’s why the children could not marry.” She recalled that in those days the Turkish Cypriots could marry their first cousins, though many disapproved of such marriages. Sometimes Turkish Cypriot women would breastfeed the first cousins of their children, to become their milk mother, so that they could not marry later on! Eleni adored an older “very beautiful” Turkish Cypriot girl in the village, who would hold and hug Eleni when she was young. Eleni would sing a song to her (as she was a very talented singer and in the village choir). The lyrics included “you are sweet like sugar and honey”. According to Eleni, the Greek and Turkish Cypriots of Polis Chrysochous would look after each other’s children when there were events to attend, and they never worried about their children being abused in any way; they had complete trust in one another. 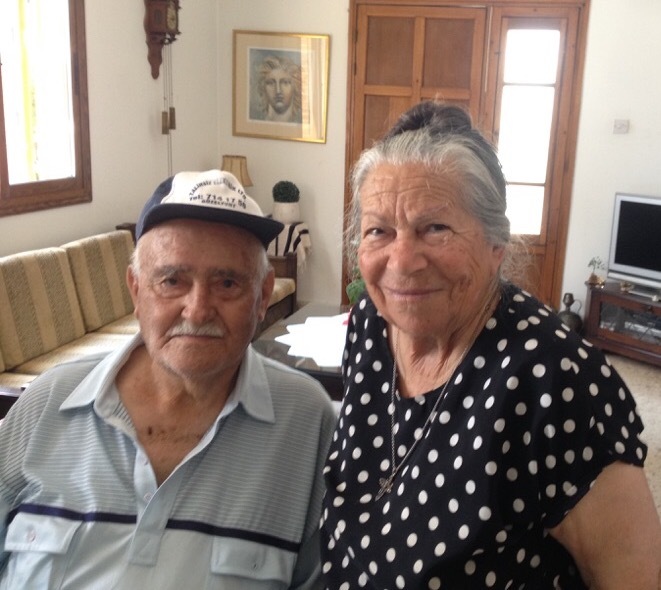 Eleni knew of a marriage between an Greek Cypriot man and a Turkish Cypriot woman. In 1974, when mass population shifts occurred, “they stayed together and hid in the mountains”. She doesn’t know what happened to them later.